sslscan is a very efficient C program that allows you to detect SSL versions & cipher suites (including TLS version checker) and also checks for vulnerabilities like Heartbleed and POODLE. 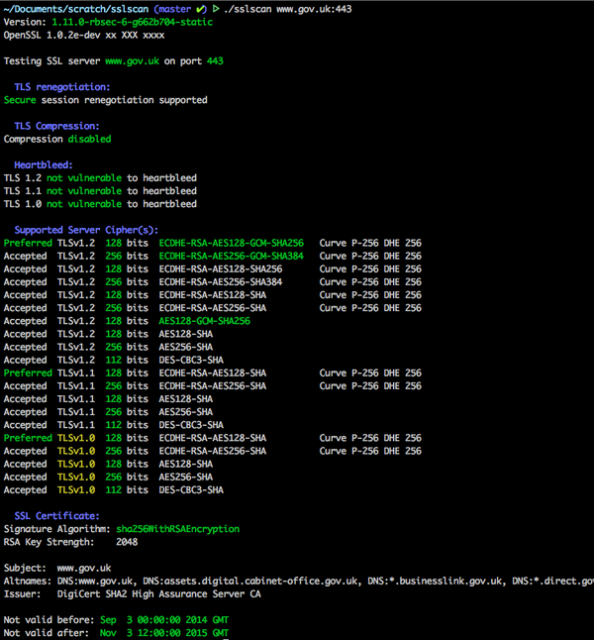 sslscan has fairly complete support to detect all versions and ciphers for both SSL and TLS, including vulnerabilities (like Heartbleed and Poodle). Check for OpenSSL HeartBleed (CVE-2014-0160). Flag weak DHE keys with OpenSSL >= 1.0.2. Experimental Windows & OS X support. Support for scanning PostgreSQL servers. --targets=<file> A file containing a list of hosts to check.